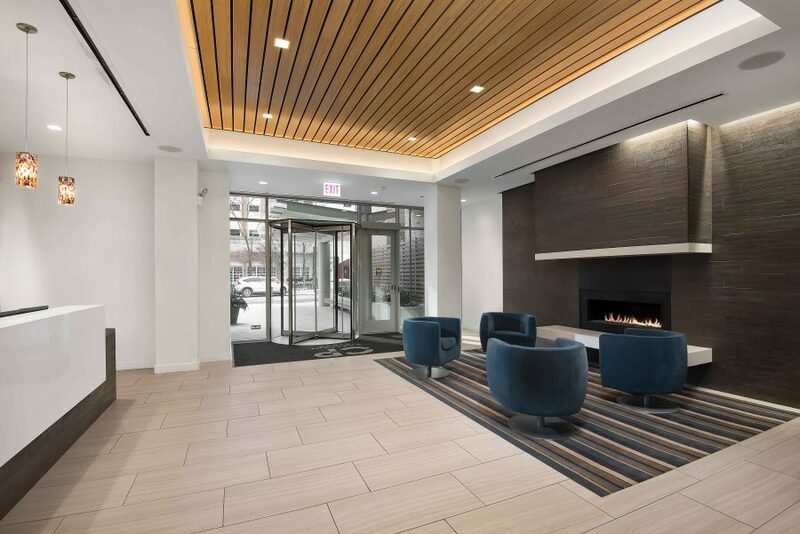 WHA worked with Golub & Company to completely redesign Chestnut Place, a mixed-use apartment building and retail destination in Chicago’s Gold Coast neighborhood. 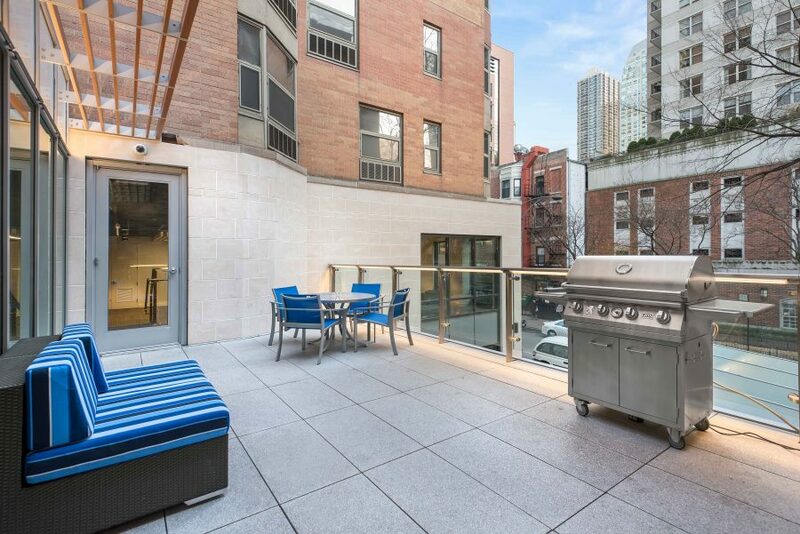 Led by WHA, the building’s repositioned exterior has helped make it a sophisticated option for apartment-seekers and neighborhood shoppers. 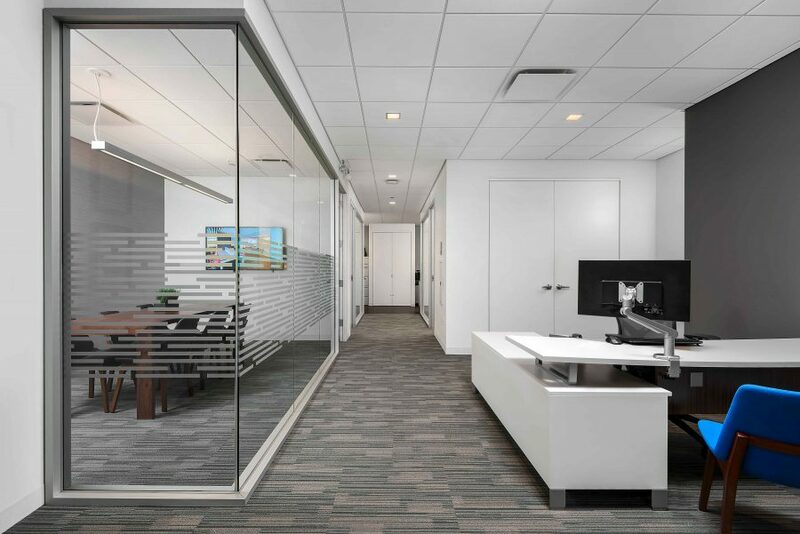 This project’s complexity stemmed from the need for WHA to carefully plan in phases to correctly and safely extend the building’s façade, ground level and mezzanine level in a way that posed minimal disruption to residents. 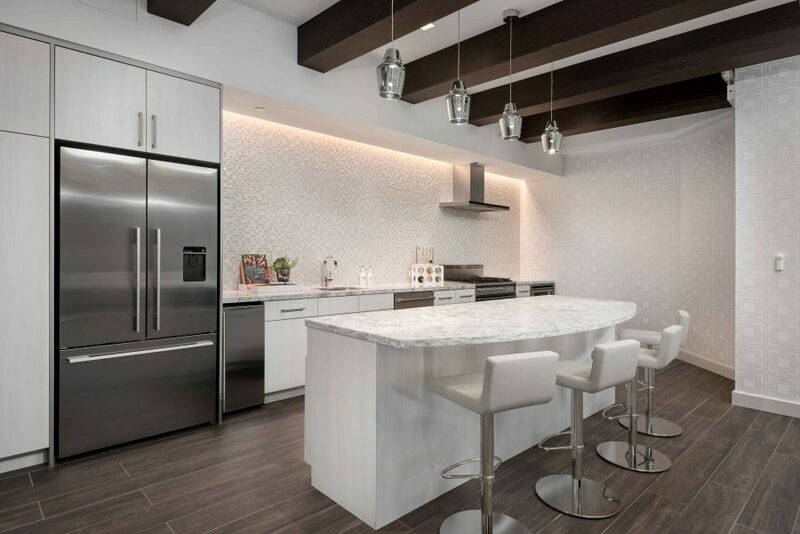 WHA’s designs have helped restore Chestnut Place, which once again is a main contributor to Gold Coast’s competitive rental market. 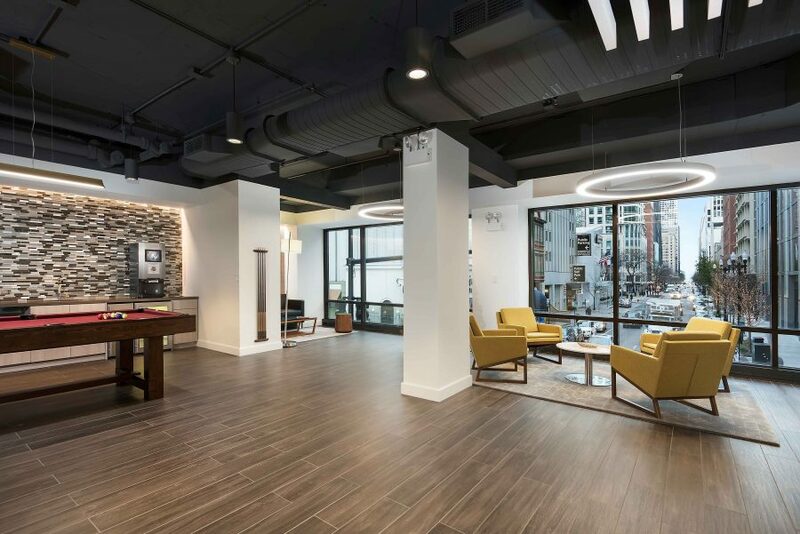 At ground level, WHA’s impressive redesign includes a creatively repositioned entrance on a more residential street, a repositioned lobby and leasing office, and a modern stone tile along the bottom two stories of the exterior that extends into retail space. 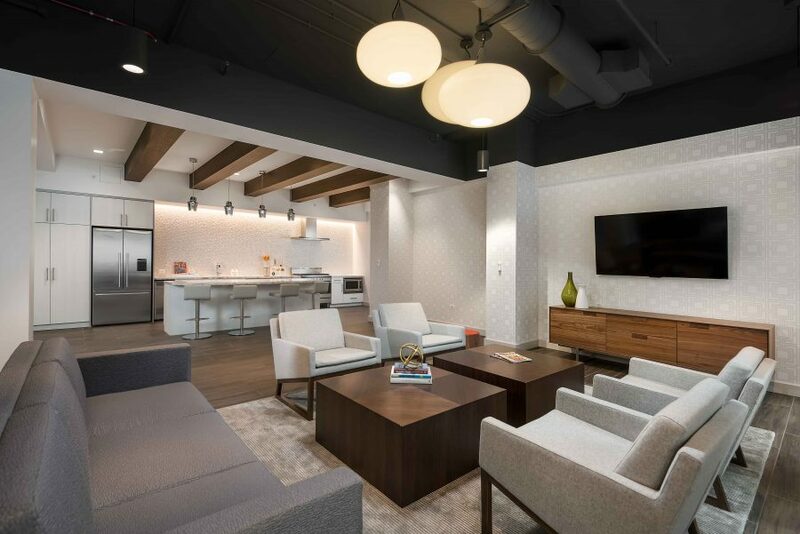 Improvements to the amenities space on the mezzanine level are a favorite among residents. 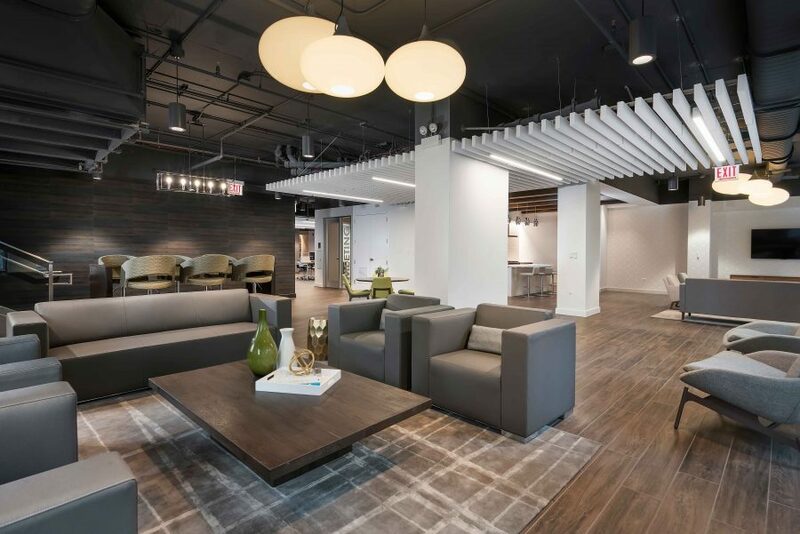 The Wi-Fi lounge has an open layout and includes comfortable seating options throughout, work stations, a meeting room, a fully functioning kitchen for entertaining, an outdoor terrace, and a new fitness center and laundry facility.